Make it easy for guests and staff to locate chopsticks thanks to this stainless steel vertical 3-compartment chopstick holder. 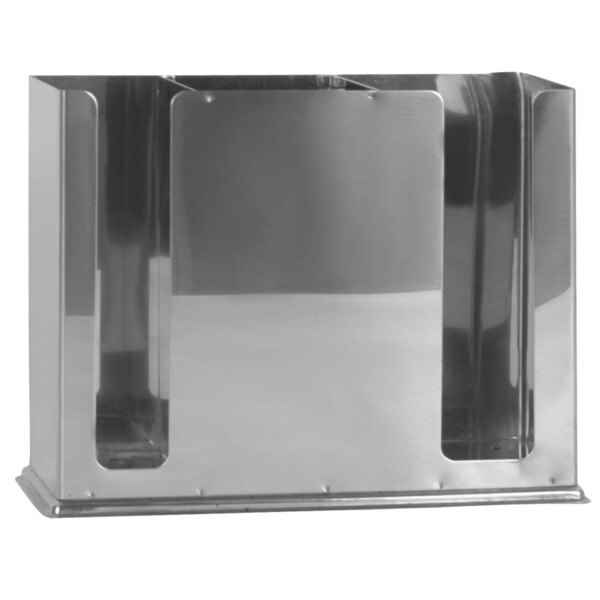 This holder is crafted from strong, durable stainless steel so it's sure to provide your establishment with long lasting use. The vertical orientation makes it easy to store chopsticks and other disposable flatware upright, so they're ready to grab. This makes it a great addition to your take out area, so customers can easily grab a utensil. Or place it in your service area to keep it orderly and make it easier for staff to grab what they need. Featuring 3 compartments, it creates organized and separated storage for your chopsticks and other utensils such as forks, knives, spoons, or straws. The polished finish also lends a sleek and professional touch to any front-of-house set up. Keep your chopsticks off the table and easily accessible for everyone by placing them inside this convenient holder!